On Friday, May 11, On Stage at Kingsborough presented A Sophisticated Reunion. 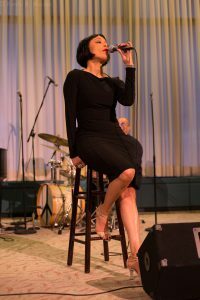 This was the last show in the 2017-2018 Jazz at the Lighthouse Series, and it really closed the season with a bang! Kingsborough’s Lighthouse is a fabulous place for a show, with panoramic, scenic views, wonderful acoustics, and a lovely nightclub atmosphere. This splendid concert reunited Valarie Pettiford, Terri Klausner, and Ty Stephens. These three first met when they were all in the Broadway show, Sophisticated Ladies, which ran from 1981 to 1983, and they’ve remained friends throughout the years. 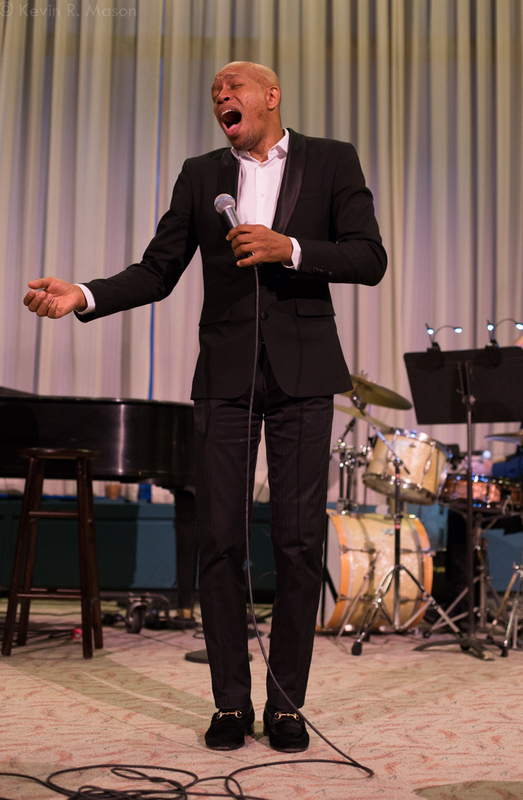 The original Broadway revue was a sparkling tribute to the music of Duke Ellington, and this evening at Kingsborough College in Brooklyn really lived up to the legacy of that show. 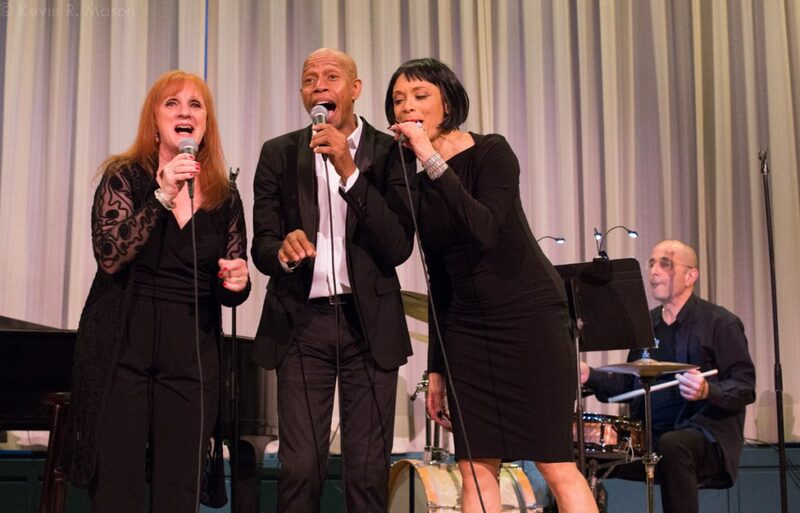 This trio also gave a special one-night performance of this show two years ago at New York’s famed “Birdland” jazz club. The talented trio started with a moving medley of star-themed songs. They began with a few bars of “When You Wish Upon a Star,” sung a cappella, which segued into Earth, Wind & Fire’s “Shining Star.” The section ended with Sly Stone’s “Everybody is a Star.” Pianist Ron Abel assuredly served as the Musical Director, and he got strong support from bassist Ritt Henn and drummer Ray Marchica. The rest of the show was a mixture of songs from Sophisticated Ladies and numbers from their individual solo shows, and they each had a set. 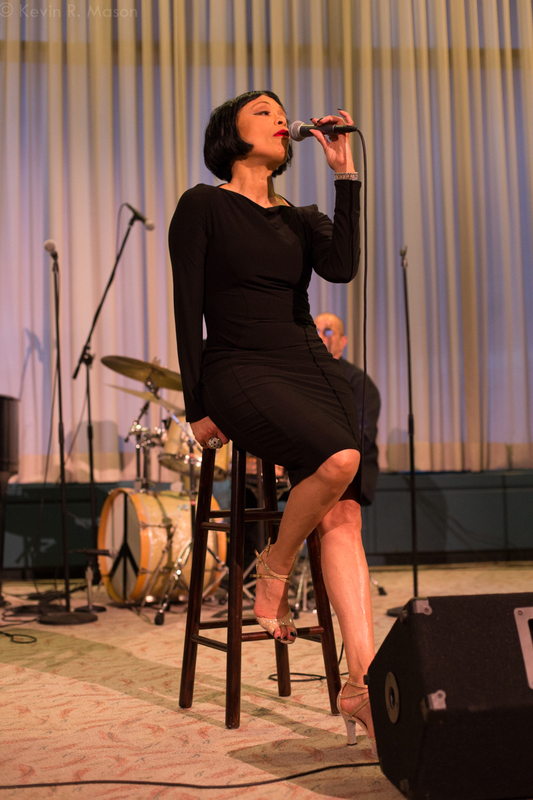 There was a wide variety of music performed, but Duke Ellington’s music was the backbone of the night. 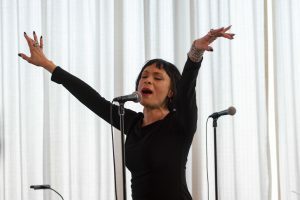 Valarie Pettiford started the solo sets with “All That Jazz,” which she performed with loads of energy and magnetism, and she followed that with a sultry “Bésame Mucho” and a smoking Spanish version of “Perhaps, Perhaps, Perhaps” (Quizás, Quizás, Quizás). Valarie finished her part of the program with a stylish “Mein Herr” from Cabaret. 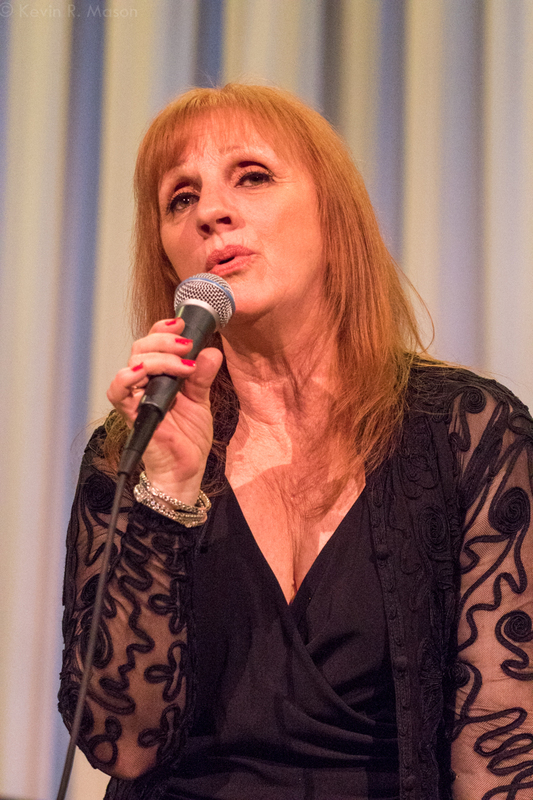 Terri continued solo with the touching torch song, “Any Place I Hang My Hat is Home.” She followed up with the high-energy 1940s hit, “Milkman, Keep Those Bottles Quiet,” and an emotional “Don’t Cry for Me, Argentina” from the musical Evita. Ty reminisced about being understudy to the talented Hinton Battle, who in turn understudied the iconic Gregory Hines in the Broadway show. Although both Gregory and Hinton got to sing “Sophisticated Lady,” Ty never had the chance. While he got to do some other great Ellington songs during his Broadway run, he expressed his delight at finally being able to sing “Sophisticated Lady” in this reunion show. He did such a wonderful job on the song, you could tell it was a long overdue labor of love. The on-stage chemistry of this trio of performers was palpably evident throughout the evening. They are all so gifted, that it was well worth seeing them as a group, as well as individually. It’s very clear why they have starred on Broadway, with their abundance of stage presence and charisma. 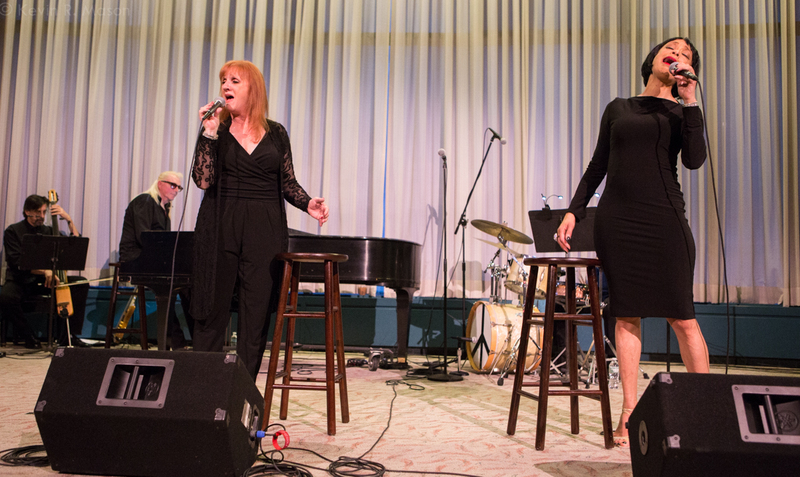 They all told entertaining anecdotes about the different songs they sang, and talked about their careers over the years. Their long and strong friendship came through loud and clear, and their bond added an extra dimension to the show. As a finale, the three did a spirited interpretation of “It Don’t Mean a Thing, If It Ain’t Got That Swing” that really blew the audience away! It was really a special night of music, and the artists received a well-deserved standing ovation at the end. The joyful Boogie Woogie Independence Day! concert will be filled with patriotic songs as well as Great American Songbook gems from the Andrews Sisters and the Boswell Sisters, sung by the vocal group Duchess. At Swing It Out!, Professor Cunningham and His Old School will play swinging tunes deeply steeped in the New Orleans tradition, from Sidney Bechet to Fats Waller, and Professor Longhair to Fats Domino. Louis! Louis! Louis! presents the music of Louis Armstrong, Louis Prima, and Louis Jordan, starring trumpeter/vocalist Jumaane Smith. For the show Everything Old is New Again!, Jason Prover’s Sneak Thievery Orchestra will feature fresh renditions of Jazz Age favorites, bringing new energy to the early traditions of jazz. All the concerts in the Hot Summer Nights series are FREE, and no reservations are required. They will be held at Kingsborough’s Lighthouse Bandshell. The gates open at 7:00 pm, and the shows start at 8:00 pm. The concerts will be held rain or shine, with a back-up plan for inclement weather. Seating is limited, but you are free to bring blankets or folding chairs. You may also bring a picnic to enjoy while basking in the sea breezes, or purchase sandwiches, chips, ice cream, and other refreshments that will be available at the venue. For more information on Hot Summer Nights or other upcoming events at On Stage at Kingsborough, go to www.onstageatkingsborough.org, or call 718-368-5596.